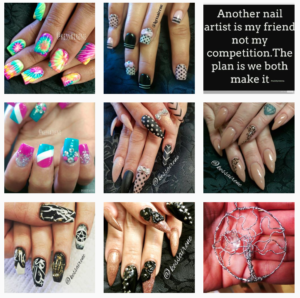 Painter Turned Nail Artist: An Aveda Alumna Tells Her Story! 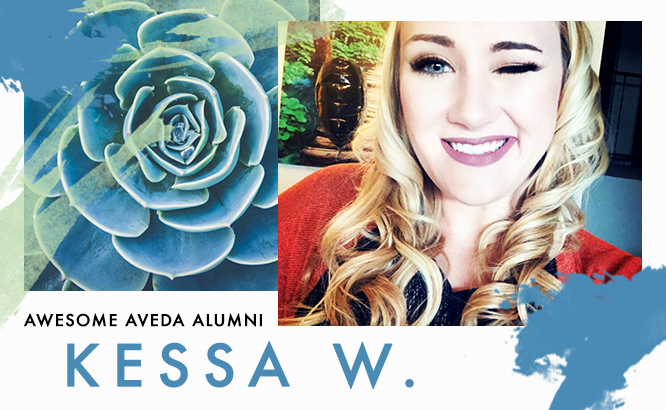 | Aveda Institute Aveda Idaho is proud to feature our alumnas Kessa Wonenberg. Not only is she an awesome graduate, she has come full circle, with enough talent to come back and teach future professionals! At Aveda Institutes Twin Falls and Boise, we are always excited to see where our graduates end up after their time with us. Many of them have gone on to do some incredible things, and we are so grateful that we got to be a part of their journeys. One of those amazing graduates is Kessa Wonenberg, a truly talented nail, hair, and real-life artist who graduated from our cosmetology program in 2013. We were lucky enough to catch her for an interview, and you may find that your career path could be just like hers! Aveda Idaho is fortunate to have Kessa as a guest speaker and teacher for many of our nail classes. Kessa is a great example of turning something you love into a career, and now she gets to share her expertise with future beauty professionals. Everything wasn’t always easy for Kessa though. She explained that when she realized she wanted to go to cosmetology school she got a little bit of pushback from people in her life due to stereotypes surrounding the career. We know that cosmetology and all beauty careers are worth it, and Kessa did too. We’re so happy she was able to get her training with us, and she has said that she was glad she completed the program. Look at how far it’s gotten her! Art calls to art! Looking at Kessa’s work on Instagram, you won’t be surprised to learn that she began her journey as a painter. Once Kessa began doing nails on her friends and family members she realized that this could easily become a wonderful career. She originally saw the cosmetology program as her ticket to success and she switched from painting to cosmetology immediately! During her time at Aveda Idaho, Kessa found that her passion for creating art spoke well to the things she learned in the nail portion of the cosmetology program. Though she learned about all thing beauty in her time with us, she quickly began focusing her skills on nail technology. We believe that when you find your passion you should follow it, and that’s exactly what Kessa did. Upon graduation she worked in a salon near the school, building up a clientele and her beauty book. After a while Kessa realized she would love to own and operate her own business, which is when she decided to open her own salon, which ran for three years. 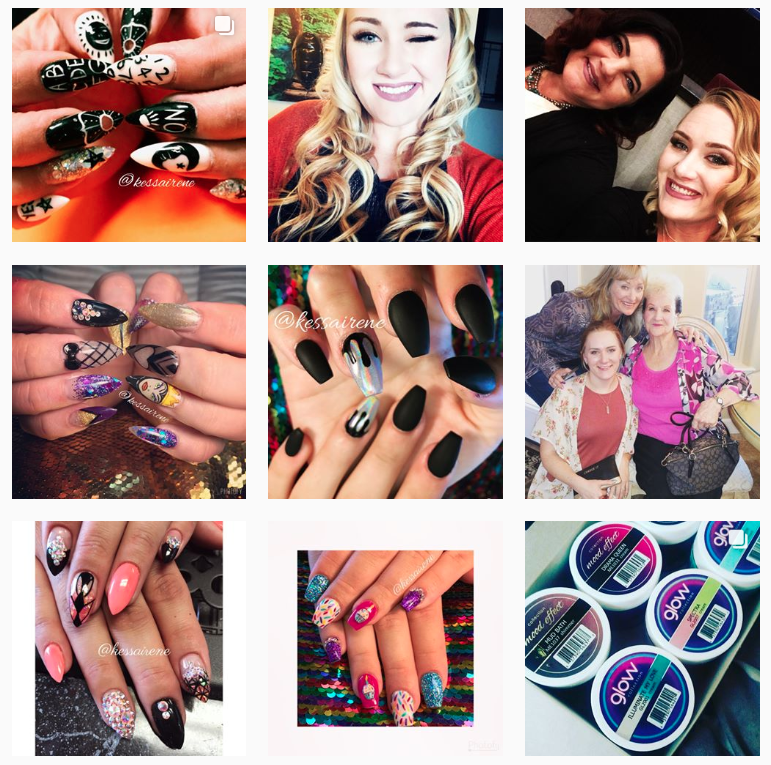 Kessa is currently living her best life as a nail artist at Reign Day Spa & Salon. 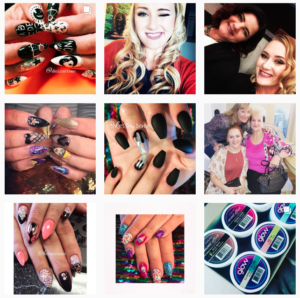 She says that she loves being able to spend time with her family, do the things she loves to do in her free time, and still get to express herself through her love of nail artistry! Aveda helped facilitate this type of lifestyle for Kessa, and she says it taught her what she needed for her career to blossom. 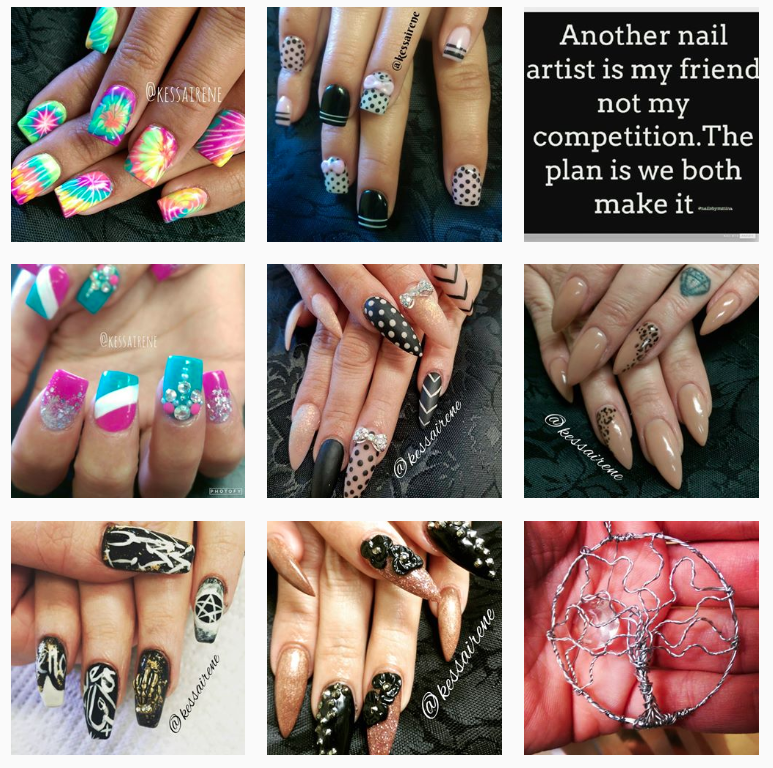 Kessa now comes back to Aveda Idaho to teach and work with our students on their nail technique. She says she “enjoys teaching the new students and that they always show such promise. [She] has loved being able to see their eyes light up when they have that “a-ha!” moment”, and remembers to teach the valuable skills she learned during her time in school too. Though Kessa already had basic nail artistry skills, she knew she would have to go to school to learn many of the extra things only a beauty school can teach you. This includes things like sanitation, product and tool usage, and modern technique. When we asked Kessa why she chose Aveda to receive her cosmetology training she stated that “they are more new age. The other schools in the area were old, and their education wasn’t current.” Kessa said that when she toured the school she felt a connection with both the people there and the atmosphere that Aveda incorporates into everything we do. During her time at Aveda Kessa said she enjoyed the challenge the education provided her with. Kessa explained that some people didn’t take their education seriously and thus it became a means to an end. Because she wanted to become successful in her profession she challenged herself every day and felt that she got a lot more out of her time there! Keep challenging yourself! No matter what you’re working toward. If it’s easy, push harder! Think You’d Like to Be Like Kessa? If you felt inspired by Kessa’s journey, you are welcome here! Aveda Idaho is always looking for future beauty professionals like yourself! We love motivated, kind, and hard-working individuals who want to turn their passion for hair, nails, and makeup into a career. If you’re ready to take that next step all you have to do is fill out this form or call us at 208-733-7777. We’ll be in touch with you soon, and you may just find yourself working with someone like Kessa in the future!